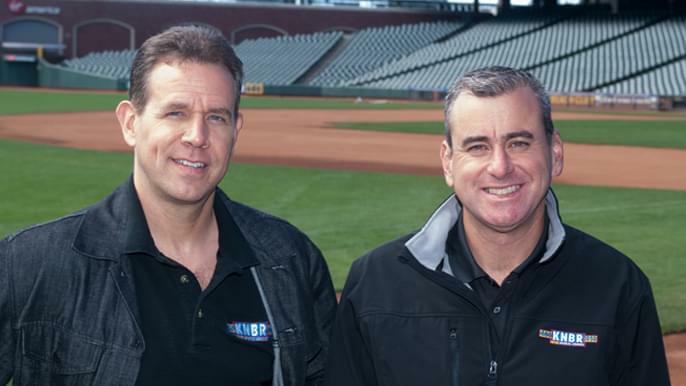 Before getting their first dose of coffee in the morning, KNBR listeners get their first dose of sports from the duo of Brian Murphy and Paul McCaffrey every weekday from 6 am to 10 am. “Murph and Mac” have been entertaining sports fans in the Bay area since 2006. A former sportswriter for the San Francisco Chronicle, Murph, a North Bay native, covered every Bay Area sports team during a 15-year writing career and brings an almost encyclopedic memory of sports knowledge, trivia and Bay Area sports history to the show. He’s authored six books, including three labors of love on the 2010, 2012 and 2014 World Series champion Giants. Paulie Mac brings the passion of a lifelong San Francisco sports fan, combined with an energetic sense of humor that keeps the pace moving every morning. Paulie also colors the morning with the audio from his popular parody songs and ever-changing soundboard. He may also drop intense musical knowledge on the show, particularly as it relates to the Grateful Dead, but only on days that end in ‘y’. Bonnie-Jill Laflin has a number of firsts in her career. Laflin is the first and only female NBA scout, holding the front office position with the Los Angeles Lakers. She is the first to cheer on a professional level for three teams, in two sports, starting with the NBA and the Golden State Warriors, and moving to the NFL with both the San Francisco 49ers and the Dallas Cowboys. Laflin is the first female to be awarded six championship rings in two professional sports, earning a Super Bowl ring during her time cheering for the 49ers and five NBA championship rings as an executive for the Lakers. 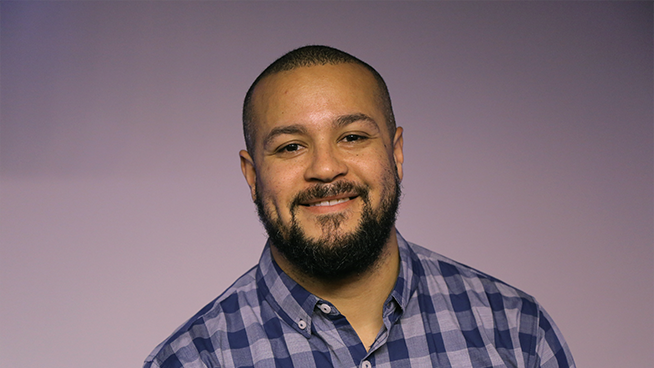 Laflin is currently the co-host of KNBR’s Morning Show, host/reporter for NBC Sports Bay Area, host of Westwood One podcast “The Weekly Pass”, segment reporter for FOX Sports, the NBA insider on BBC Sports in the United Kingdom, and the host of NBA China. Bonnie-Jill’s presence is truly global.Beyond her professional ventures, Laflin is committed to and passionate about animal welfare and the nation’s veterans, founding the non-profit Hounds and Heroes. Adam Copeland grew up in the east bay in San Leandro as a Giants, 49ers, and Warriors fan. He attended Moreau Catholic High School in Hayward where he played basketball and lettered for 4 years in baseball. Following High School he attended Chabot college where he called football and basketball games for the radio station KCRH. After Chabot Adam majored in broadcast journalism at San Francisco State University. A lifetime Bay Area sports fan and San Francisco resident, Adam now hosts The Leadoff Spot, weekdays from 5-6 am. The show blends Adam’s strong foundation and love of baseball with his passion for the 49ers, Warriors and Giants. Adam’s youth and charisma paired with his sense of humor make for an informative and entertaining hour of radio–a great way to “leadoff’ your morning. Adam can also be heard before weekend Giants’ home games during Weekend’s in the Park with Marty Lurie.